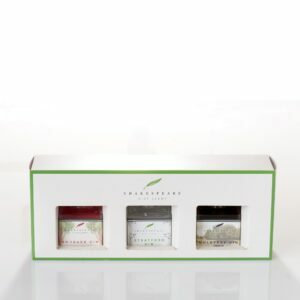 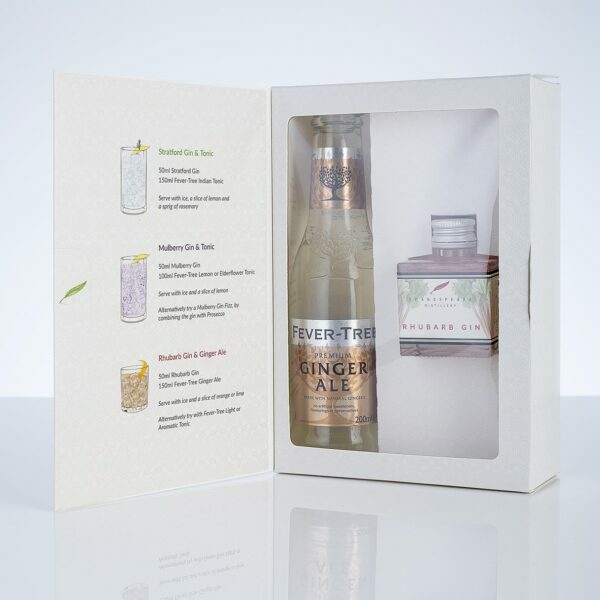 A Rhubarb Gin & Ginger Ale gift set. 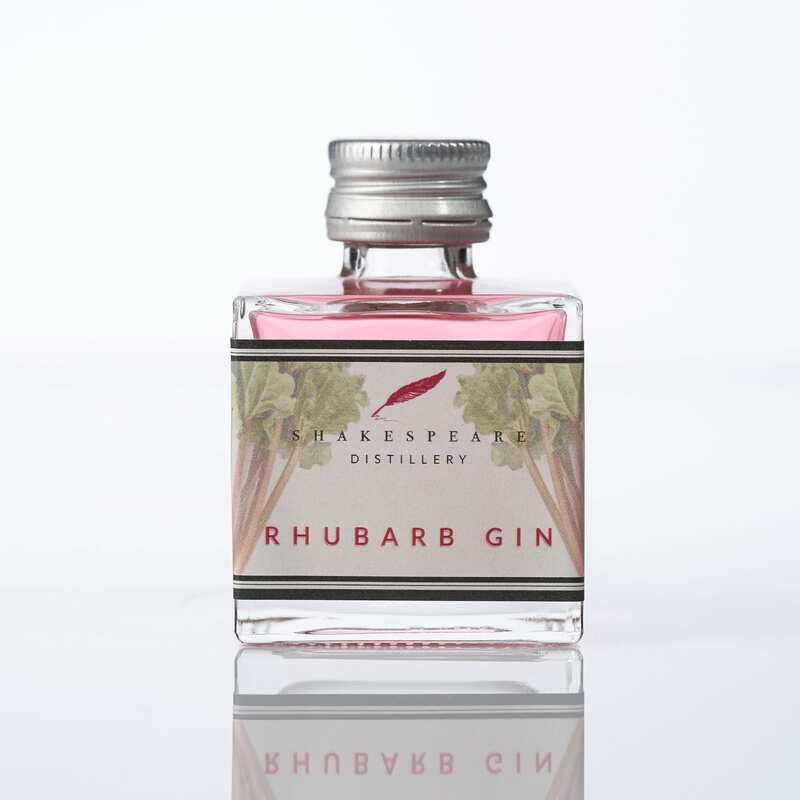 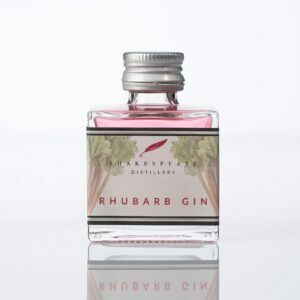 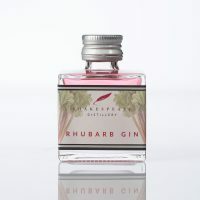 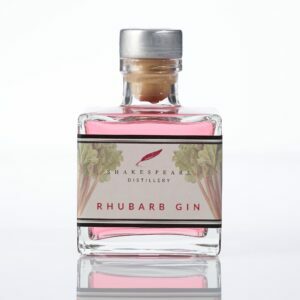 Rhubarb gin is delicious served with lime and Ginger Ale. 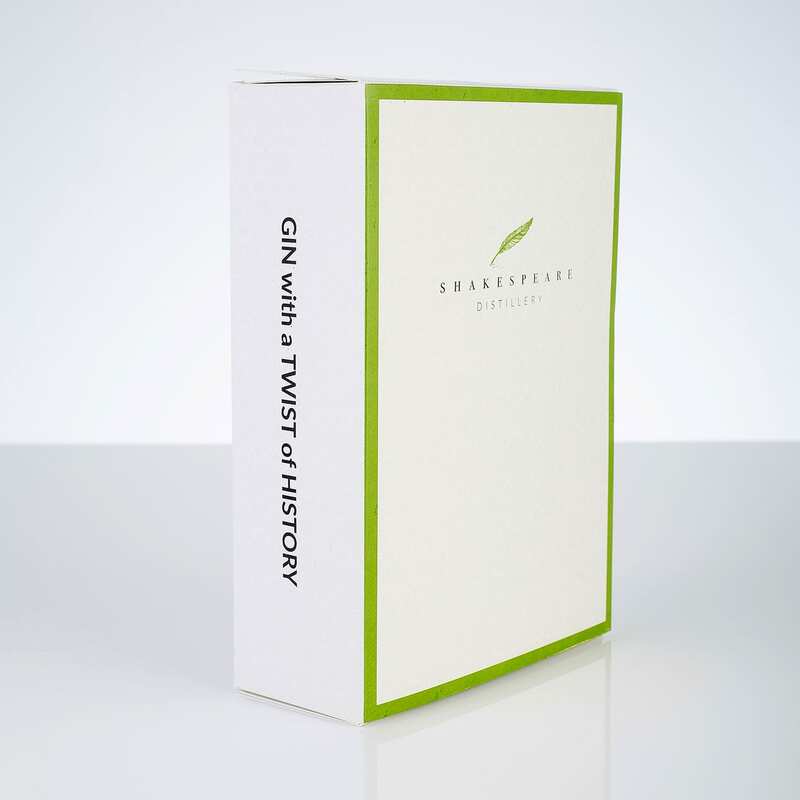 Set contains a miniature bottle of Rhubarb Gin (5cl) and Fever-Tree Ginger Ale (20cl) presented in a Shakespeare Distillery gift box.